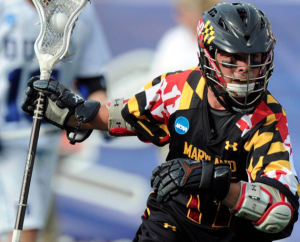 The Tewaaraton Foundation has announced the first round of additions to the 2015 Tewaaraton Award Men’s and Women’s Watch Lists, presented by Under Armour. The lists include the top players across all three divisions of NCAA lacrosse and highlight the early contenders for the Tewaaraton Award, which will be announced May 28 in Washington, D.C.
On April 23, the field will be narrowed to 25 men’s and 25 women’s nominees. Nominees can be players on the watch lists or players not on the watch lists, effectively allowing for a third round of additions. Five men’s and five women’s finalists will be announced on May 7 and invited to the ceremony. The Tewaaraton Award Ceremony will be held in Washington, D.C., on May 28, 2015, at the Smithsonian Institution’s National Museum of the American Indian.